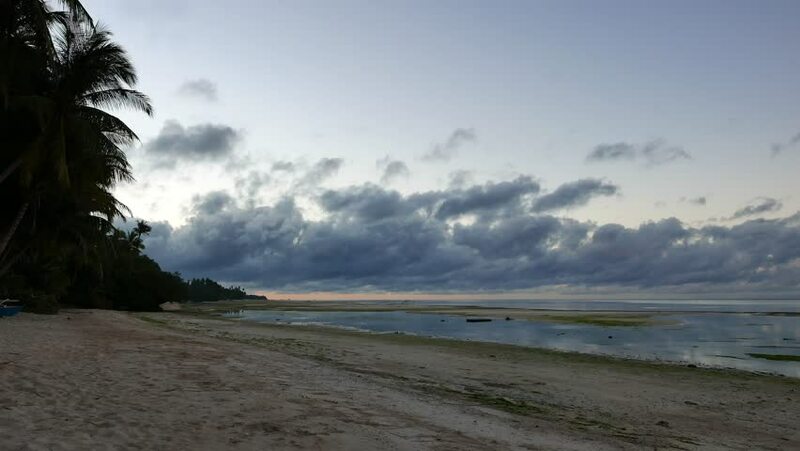 An early morning time lapse video from white sand beaches of Siquijor Island, showing low altitude clouds over the beach and the ocean. A feral dog can be seen roaming on the beach. 4k00:12An early morning video from white sand beaches of Siquijor Island, showing low altitude clouds over the beach and the ocean. Presented in real time and originally shot in 4K (Ultra HD) resolution. 4k00:17Timelapse of Rain storm in the evening at sea. hd01:00Beautiful beach on Black Island in Coron Philippines. Steep surreal eroded limestone walls.